The Connections Mural was created in 2016 as a Signature Project of the Cultural Hotspot, produced in partnership with the City of Toronto. 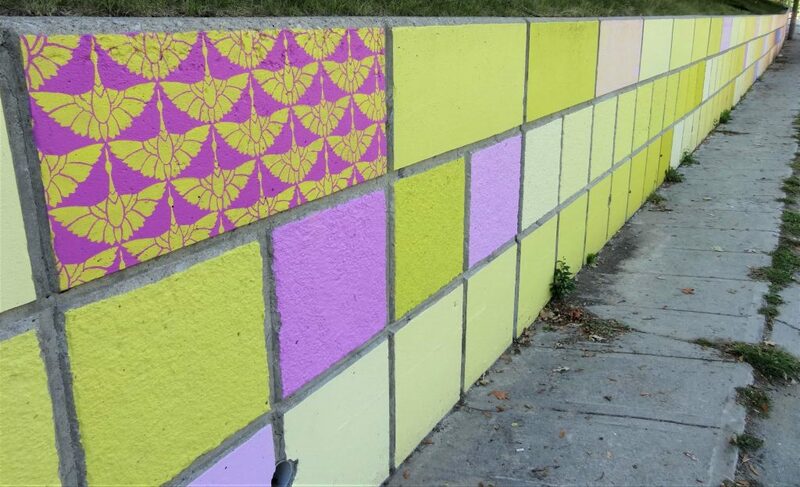 The mural incorporates over 300 colours across 1161 squares, brightening a 760 foot-long retaining wall in North York. Lead artist Rob Matejka grew up in the neighbourhood, and created a design that emphasizes the multicultural and ever-changing nature of the community. The colourful gradient is accented by textile patterns from around the world, representing the harmonious diversity of Toronto and the continual movement of people in this busy area. The project was supported by StreetARToronto. Additional support from Canada Summer Jobs, TDSB Focus on Youth, Councillor Shelley Carroll, and Parkway Forest Community Centre.